All prices are listed in United States (U.S.) dollars. All Orders Are Credit Card, or Money Orders. Items in your Shopping Cart will always reflect the most recent price displayed on the item's product detail page. Please note that this price may differ from the price shown for the item when you first placed it in your cart. Please note that this policy applies only to products sold and shipped by Ocean Rider, Inc., Inc. 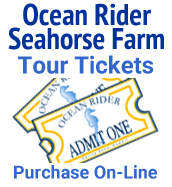 Ocean Rider accepts Visa, Master Card and Discover on a secured server for your protection. You will receive an instantaneous electronic invoice upon submittal of your order using the secure order form which follows. This will be followed by an e-mail from Ocean Rider confirming the arrival day of your package. You will then receive an e mail 24 hours before arrival with the FedEx tracking number so that you may track your package. No Credit Card? No problem, Just submit your order using the money order payment option. Upon receipt of your certified money order made out to Ocean Rider, we will notify you immediately by e-mail to schedule the shipment of your order. You may call in your credit card number to our secure line if you wish at 1-(808) 329-6840. If you are unsure about your invoice just e-mail us your concern and we will verify the correct invoice right away. Sorry, we do not give credit card credit under any circumstance. Live arrival guarantee applies for the day of arrival ONLY!! You must take a picture with a digital camera of the deceased seahorse in the bag showing the unopened OR bag with the clips on the bag along with the seahorse, time and date. A second photo must be taken of the seahorse when acclimation is started and finished showing the time of each. These photos must be emailed to ocean rider the same day as the seahorse arrives. Your saltwater tank must be properly cycled and your water quality must be within acceptable parameters which are: Ammonia 0, Nitrites 0, pH 8.2-8.4, Specific Gravity 1.021-1.025, Temperature 70F-80F. You must acclimate the new arrivals according to our Acclimation Procedure regardless of how the specimen appears. If the animals appear inactive, DON'T WORRY! Inactivity is temporary and is NOT a sign of death, but merely a result of chilling or depressed PH during the shipping. It is completely reversible if proper procedures are followed both during and after acclimation. See Getting Ready. Do not assume that cool water in the shipment bags will injure or kill the livestock. If you experience a loss, DO NOT DISCARD THE SPECIMEN! You must return the specimen and follow these instructions in order to receive a replacement. Notify us by e-mail immediately and send the 3 pictures requested. Returns must be postmarked the same day the seahorse arrived. Returns should be placed inside 2 zip-loc bags. The animals must not show signs of mishandling or physical trauma. We will replace the dead specimen or give farm livestock credit if you have qualified. Guarantee applies to original shipment only, not replacement items. Shipping and box charges are not included in this guarantee. Sorry, credit cards cannot be credited for losses.